I tried to keep this short, but the story is so amazing to me that it was not easy to do. Ok, I got my first guitar when I was ten, from that day all I wanted to do was play (Keeping it short here) then life, a lot of life happened. After a visit to Nashville in the fall of 2010, I knew that that’s where I was supposed to be. At the age of 51, the stars aligned ( I sold my house in one day on Facebook, literally) and the good Lord saw fit to give me yet another chance, so my new wife (Darla Kay) and I packed our stuff and moved to Nashville in April 2011. (So many things to share in between but I’m keeping it short). One Saturday afternoon (June ish 2011) we stopped at a little place for some pizza. 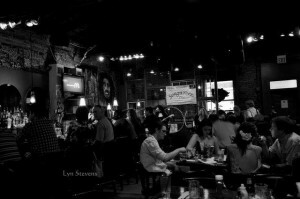 I was looking around while we eating and I said to Darla, I wonder if they would want to have a writer’s night here. I went and talked to the owner and ask him about having a writers night here and he was all for it. That weekend the owner and I went to Lowes and got some wood, tied it on the roof of his car and we built the stage. It still stands, well sits, in the Mozzarella Pizzeria in Hermitage and is used by other hosts for writer shows, (another keep it short spot). Our first show was July, 9th 2011 bringing us to our soon to be 5th year anniversary, July, 9th, 2016. My goal was to one day be downtown Music City. 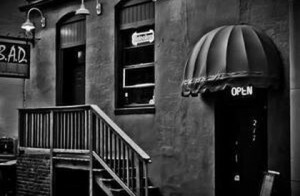 I had shows at several other local places (Richard’s Café, Sky Blue Café, 417 Union Restaurant) and found a permanent home at the Back Alley Diner located in the heart of downtown Music City, where we have been for the last 3-3 ½ years. Our writer/performer data base has grown from knowing literally no one here, to well over 800 folks from places like Sweden, Australia, London, Ireland, Canada (many more) and quite possibly every state in the Union, it has been incredible. (Keeping it short again) Several months back I began to contemplate where is it going, what is the end result of the “SongwritersLive”…Showcase? (Manager, promoter, booking agent etc. etc.) One of my friends and now first client posted an ad on Facebook if anyone knew a good booking agent. I called him up and we spoke, got down to some basics and that is how the Songwriter Live Booking Agency began. After having hundreds of incredible artists on the show I often wondered how there were so many incredible artists out there not being signed or heard and that fueled the desire to work solely with Indie Artists, thus our catch phrase “a true indie agency”. I am truly humbled at the responsibility of helping artists pursue their dream. I would love for you to come by our show the next time you’re in Nashville so you can see for yourself the incredible and blessed opportunity this has been for me. See the contact page for links to the “SongwritersLive”…Showcase. 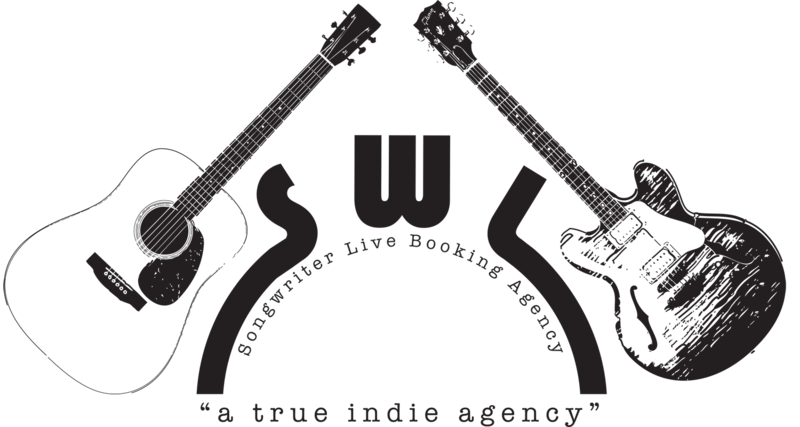 So after working with, booking, scheduling, networking with so many wonderful artists and people, it was a natural progression to begin the Songwriter Live Booking Agency. It was also a natural fit for us to work solely with Indie Artists. Our first core of acts is all seasoned professionals who I have known for years. They know me, we know each other and we trust each other that what we are doing together is going to be special and we are going to do it right. Feel free to check out our artist page and see if one or more of them would be a fit for your event. If one of the core artists on our artist page doesn’t seem to fit for you, feel free to contact me and I’ll see if there is an artist from the other 800 that would be a better fit for your event. Contractual conditions would be the same. I look forward to hearing from you and for you to hear these excellent artists.